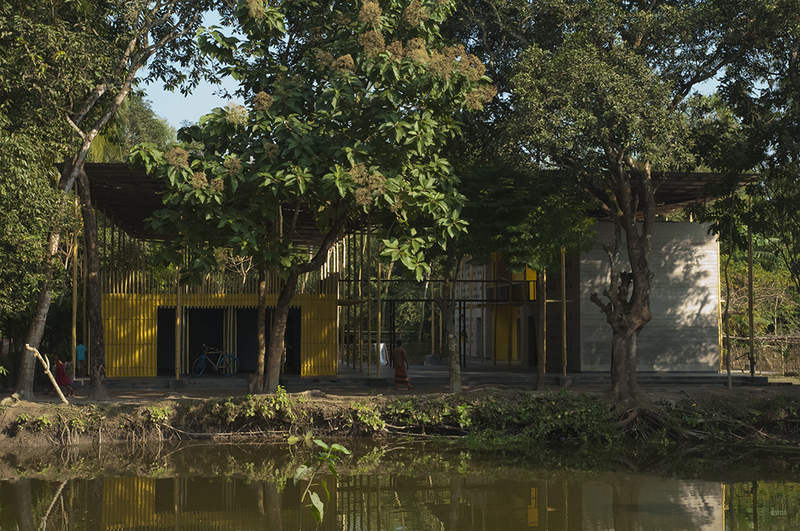 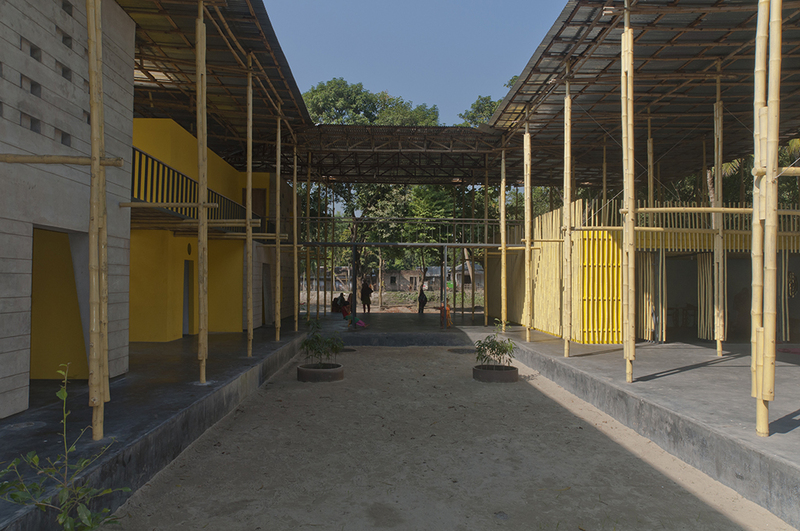 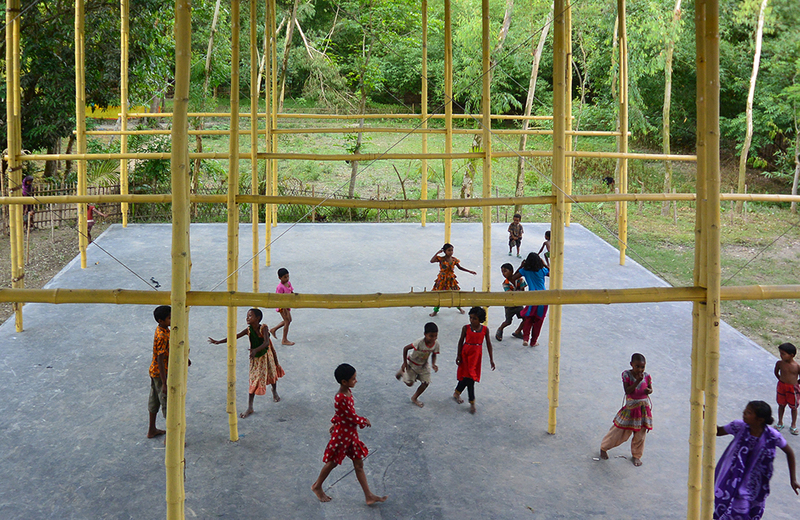 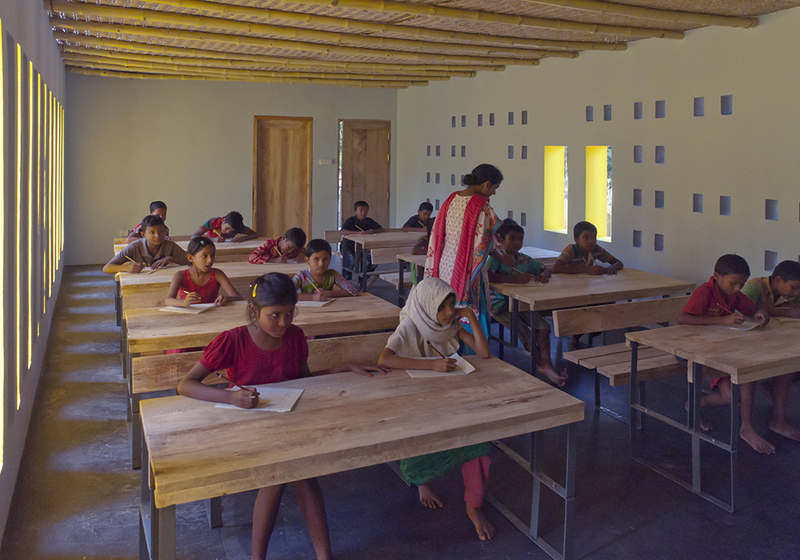 The Dutch foundation Pani commissioned the architectural office to design an educational building in the north Bengal town of Rajarhat. 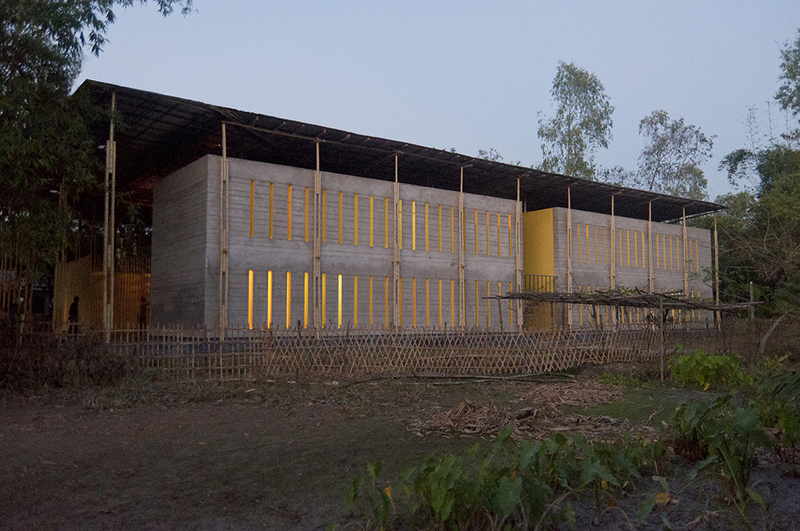 The architect couple embraced this pro bono assignment from ideological motives. 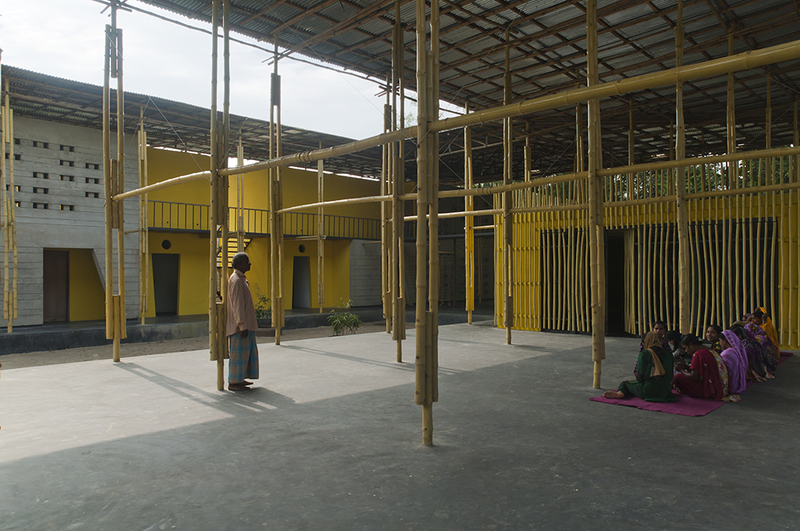 They realized an environmentally friendly building based on Muslim values that contributes to the community in a significant way. 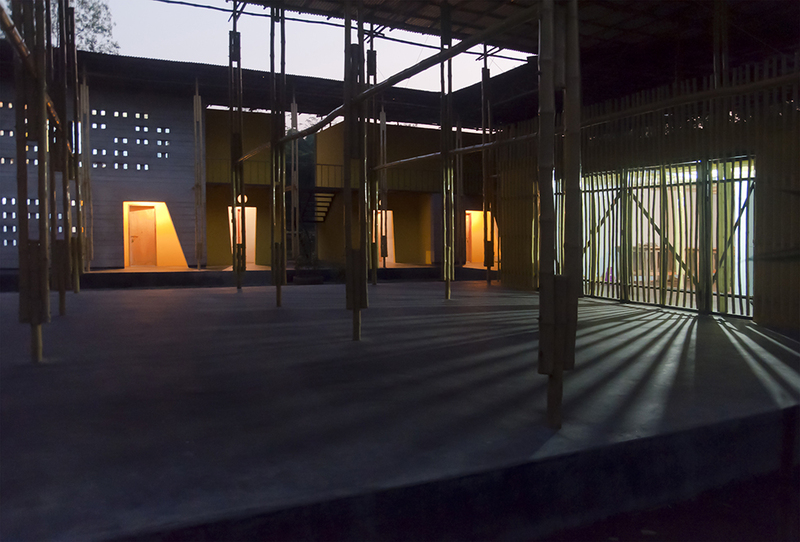 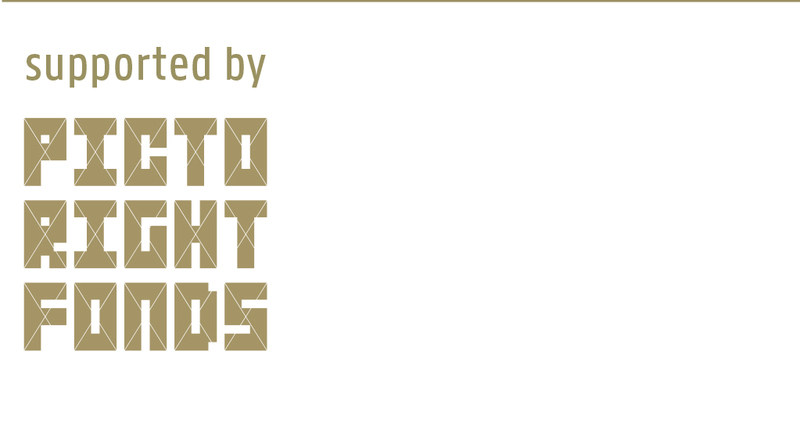 During the design process attention was mainly focused on locally available materials, skills and weather conditions. 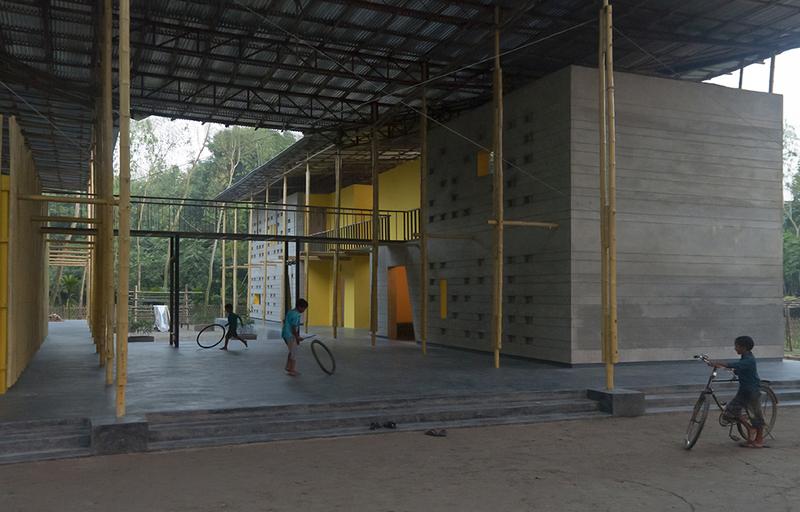 The architectural starting point was to realize a building using materials and skills from within a 25 km radius from the site. 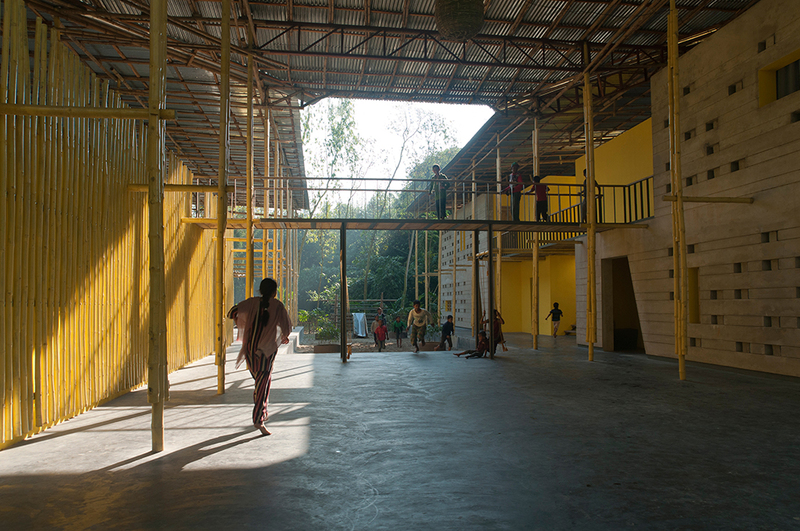 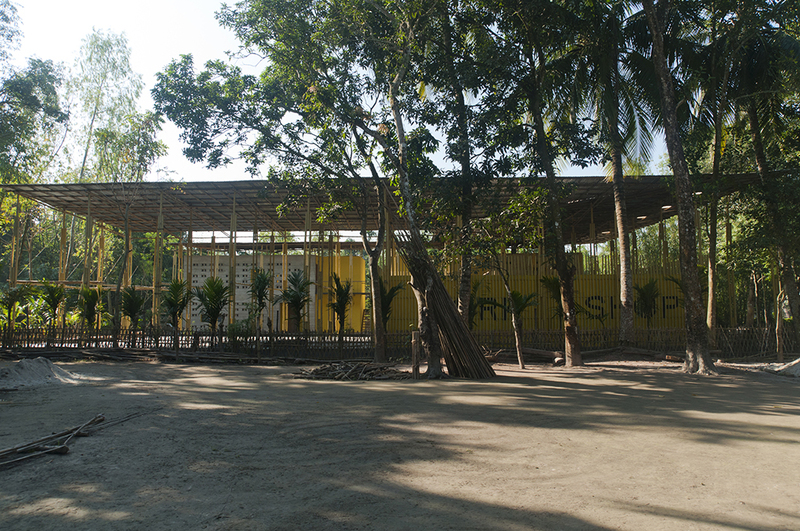 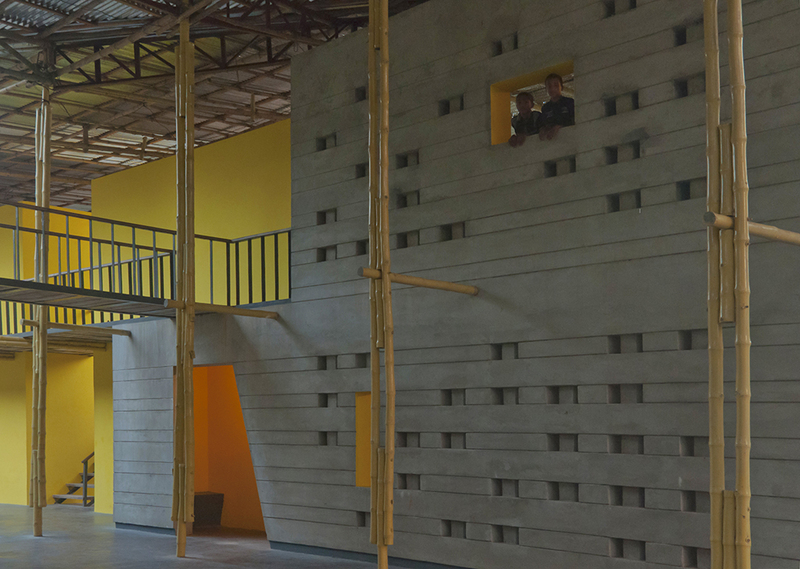 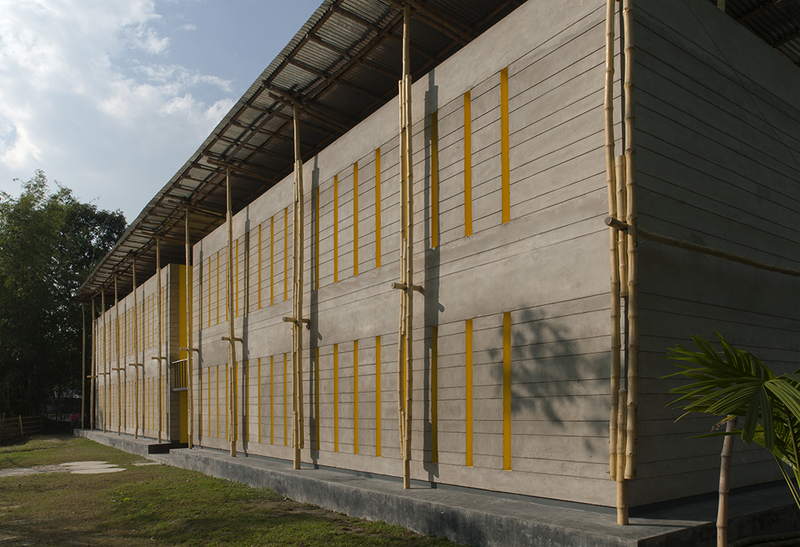 Bamboo, hand-shaped bricks, mango wood, reused steel, local mortar and wafer-thin recycled corrugated panels are the main materials used in the building. 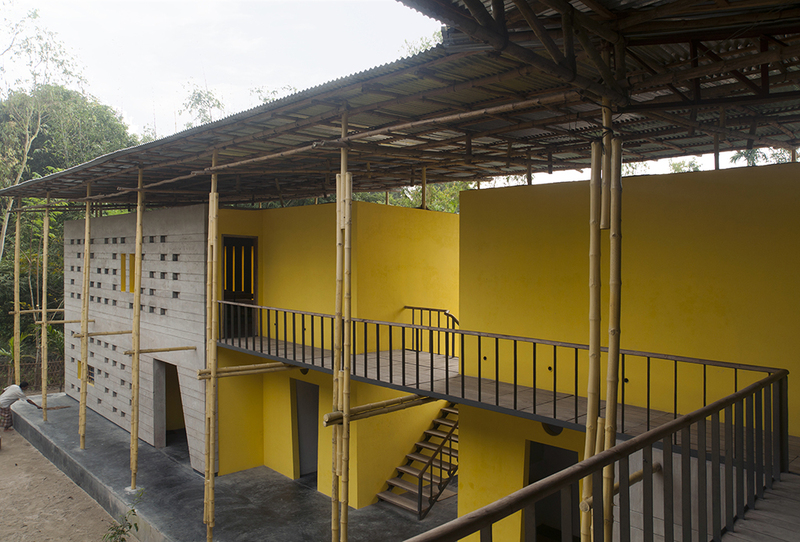 Some biomimicry elements were applied as well. 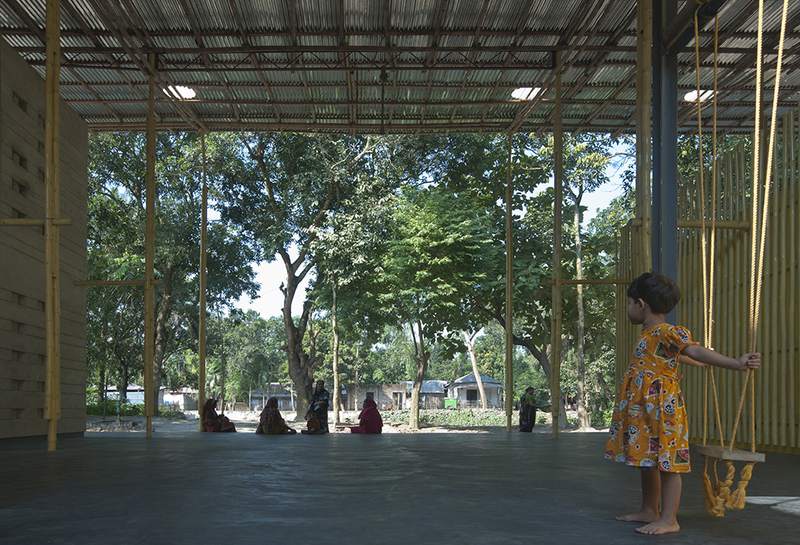 The interior walls are coloured in light blue, a hue that flies shun. 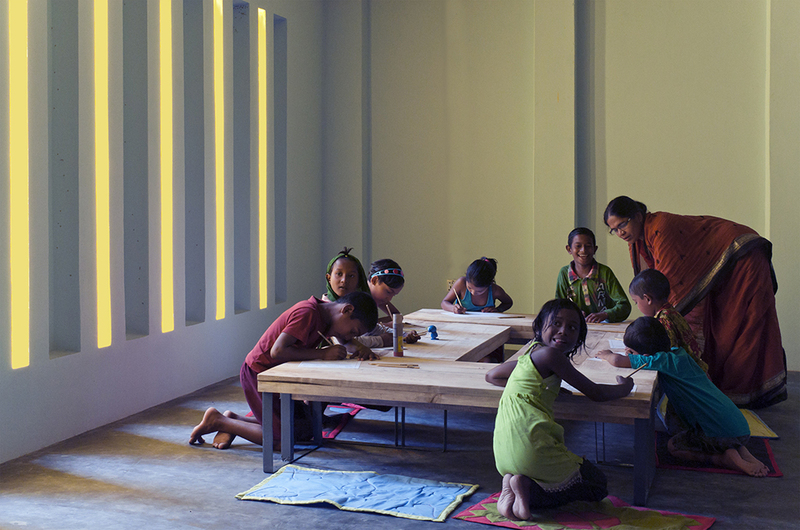 The splay of the classroom windows are painted mustard yellow, a hue that specific insects dislike.